This image was the base for the Flash animation of the same name. 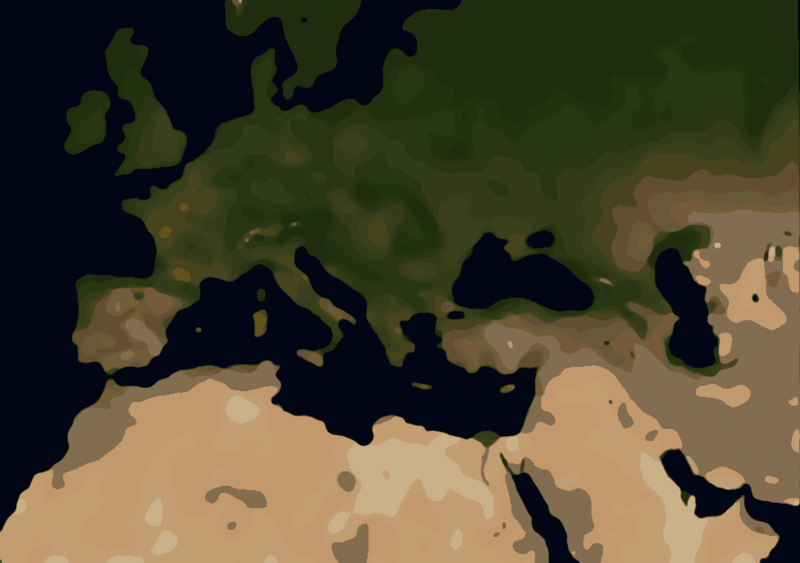 The map is a simplifed colour image of the Europe and North African continents. The colours are an average / nearest colour match of the ground based on satellite imagery from <a href="//local.live.com">local.live.com</a>. The sixteen colours used were hand picked from a high-colour blurred version of the map. Directly reducing the colours to 16 resulted in extreme unnatural colours. The map shows the vastness of the North African desert and the dryness of the middle-east. It also shows how very green Europe is, depite all those roads and concrete and cities and things.